No good deed goes unpunished. Avery Flynn never disappoints. When it comes to fiesty heroines and hard to resist heroes, she never misses the mark. Humor takes center stage when it comes to melting your heart. 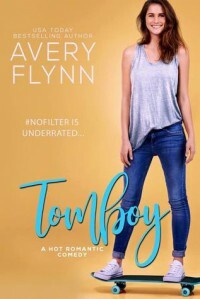 Tomboy is a captivating, laugh out loud temptation. Fallon proves that she's no pushover. Zach is about to meet his match and his heart will not be prepared for the blow. Flynn always delivers a good time.